The Dota 2 Kuala Lumpur Major will be held from 16 to 18 November at Axiata Arena where 16 qualified teams will compete for a share of the Major’s USD1 million prize pool. The 16 teams have already been chosen with Fnatic and TNC Predator representing Southeast Asia. With news of the Dota 2 Kuala Lumpur Major happening in November, Malaysians rejoiced as we finally got a major event in our own backyard. For some of us at GRVTY Media who play (or used to play) Dota 2 in the office, the KL Major was a chance to take it to the next level, not just watch the tournament but actually to play in it. That said, we joined the Dota 2 Kuala Lumpur Major Southeast Asia qualifiers on the spot and began dreaming of reaching the grand finals, something we all knew wasn’t going to happen. But a man can dream. However, only one of us in the office had been playing consistently day in and day out, with an MMR of around 3,000 and the rest of us hadn’t touched Dota 2 for awhile and we probably were 1,000-2,000 MMR. Dictionary Time: MMR refers to Matchmaking Rating points, the unit of measurement for an individual’s competitive proficiency in Dota 2. Professionals typically average over 7,000 MMR, while amateurs can range anywhere from 0 (completely clueless) to 5,000 (very good). By a while, I don’t mean a few months—some of us hadn’t played for years with one of our members not playing Dota 2 for 5 years! So we knew we were going to be rusty, but we hoped that with a little bit of training, we would be able to make it. Or so we thought. 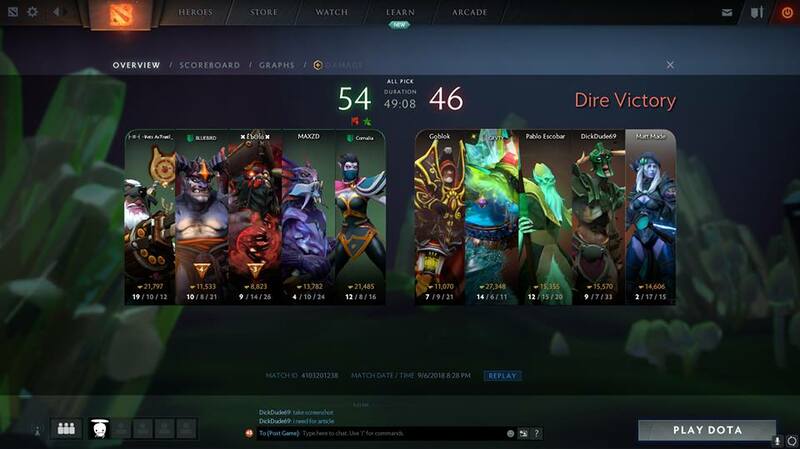 On the same day that we registered for the qualifiers on FACEIT (the KL Major’s official online matchmaking platform), we also planned our first game right after work. However, things didn’t go as planned. As some of us hadn’t touched Dota 2 in a while, we had to re-download everything (just imagine a few of us downloading a 5GB or more file at the same time with the office WiFi). It didn’t work out so well for me as the download was super slow, so I decided to head to the nearest cybercafe so I could join up online with my colleagues. As for the rest, they managed to complete the download in an hour and we were ready to go. 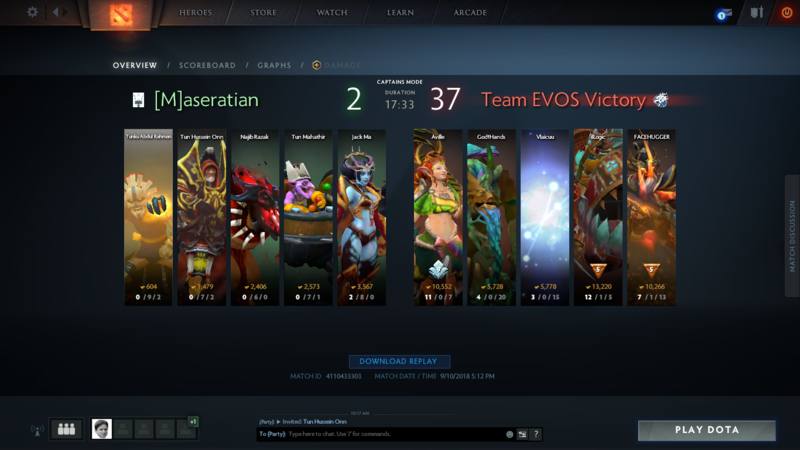 As for the game, it went pretty well or we might have came up against total noobs. We were losing early on but managed to make a comeback and win the game in the end. Even though we had lesser kills we still managed to win and they made us work for it. Our first game and our first win. After the first win, we were pumped and really thought that we could make it as a team and planned our next training sessions. We only had two days to plan our training sessions as the qualifier would fall on a Monday, so over the next few days, we had a few games here and there with more wins than losses. We even went to Orange Cybercafe in SS2 to have our final training session before the real match began. 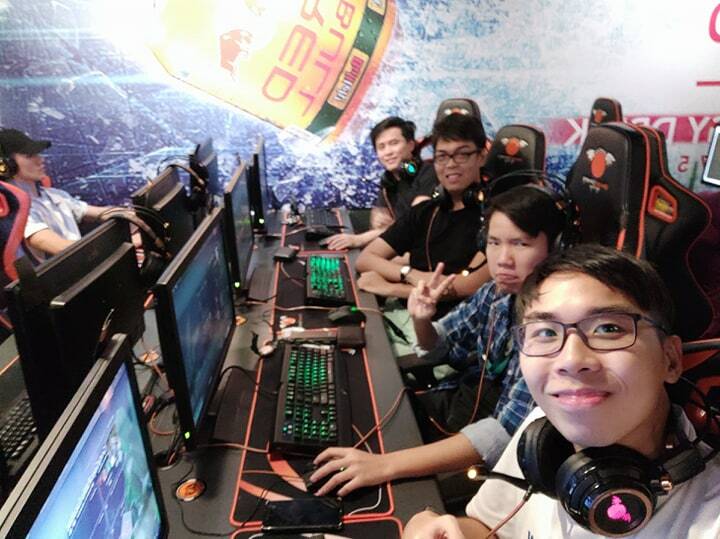 A bunch of us playing Dota 2 at SS2 Orange. After a bunch of training sessions and games, we felt like we were ready to go up against the best of the best in Southeast Asia and actually thought we could win—well at least one game. 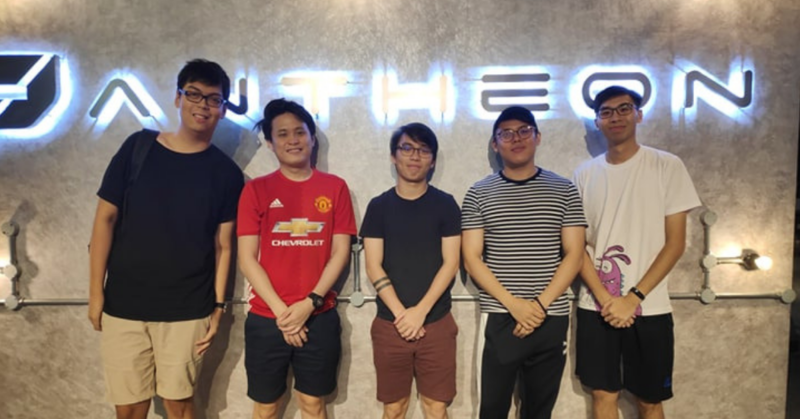 So to feel like real e-sports gamers, we chose to go to a real cybercafe, not the shoplot ones but the real deal—Pantheon, Malaysia’s first of its kind NVIDIA GeForce GTX certified Platinum e-sports arena. 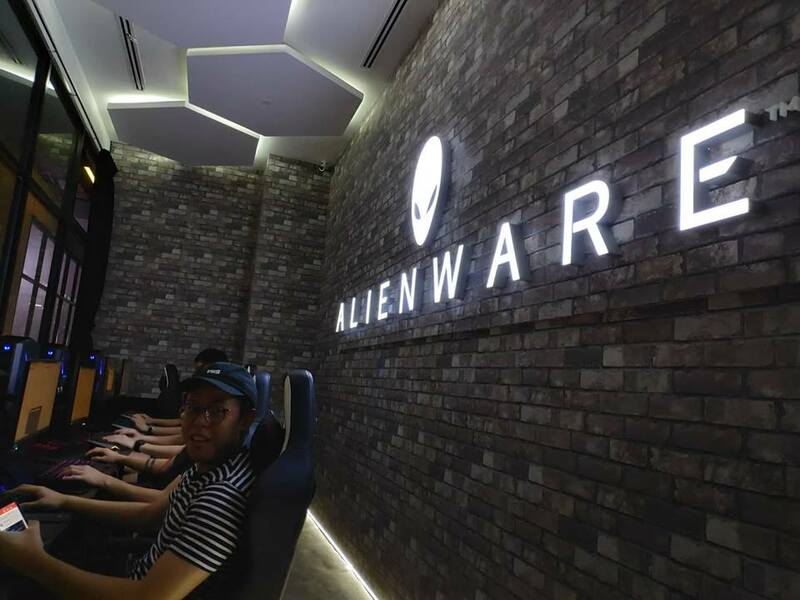 They have all kinds of gaming platforms from Racing simulators, VR experience zones, PS4 and of course what we came for— private gaming rooms decked out with the best gaming gear from Alienware, Legion, MSI, Omen, Predator and Republic of Gamers. Our experience in one of the Pantheon private rooms. As you would expect, it didn’t come cheap to play in this private room as it cost RM24 for 3 hours per hour per person and this was during Merdeka promotion. Normally, it would cost RM10 per hour person. Before the qualifiers started we had a few warm up matches to be ready, and by 3pm our brackets were released and we were up against Team EVOS from Indonesia. At first, we thought that they were just a bunch of kids like us playing for fun trying their luck in the qualifiers, but after a quick Google search, we were so wrong. They had their own Wikipedia page, their own website, and even a social media following of over 280,000 fans! By then we knew we weren’t going to win, or worse, we were going to lose badly. With our hands shaking we went into the match with pride, knowing that at least we’re losing to one of the best teams in Indonesia. Our humiliating defeat to Team EVOS. The game went badly with EVOS outplaying us in every lane and actually taking their time to have fun with us. Just looking at how everything went, just managing to kill their heroes twice was a victory for us. Honestly, the match was one of the fastest Dota 2 matches anyone of us had ever experienced, and although we were happy that we lost to a pro-team, we were still devastated that we lost badly. With that our journey in the Dota 2 Kuala Lumpur Major was done. Team EVOS made it to the semi-finals and eventually lost to the winning team, Lotac. As our dreams came crashing down upon us, we came to realise that we should stick to our day jobs and not dream of becoming pro Dota 2 players. As you can see from the feature image, that represented how we felt—defeated. However, we hear that there will be another local Dota 2 tournament happening soon called the Selangor Cyber Games and we might just try our shot at success again. Who knows, the sky’s the limit right? You can read more about the Kuala Lumpur Major here.